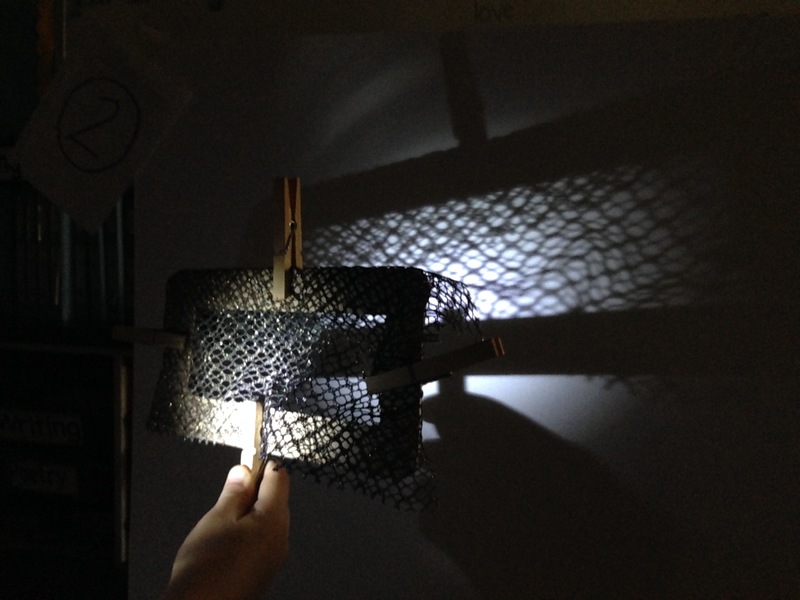 Makes shadow shapes with your hands, or with pieces of cloth. Either outdoors with the sun, or indoors with a flashlight. 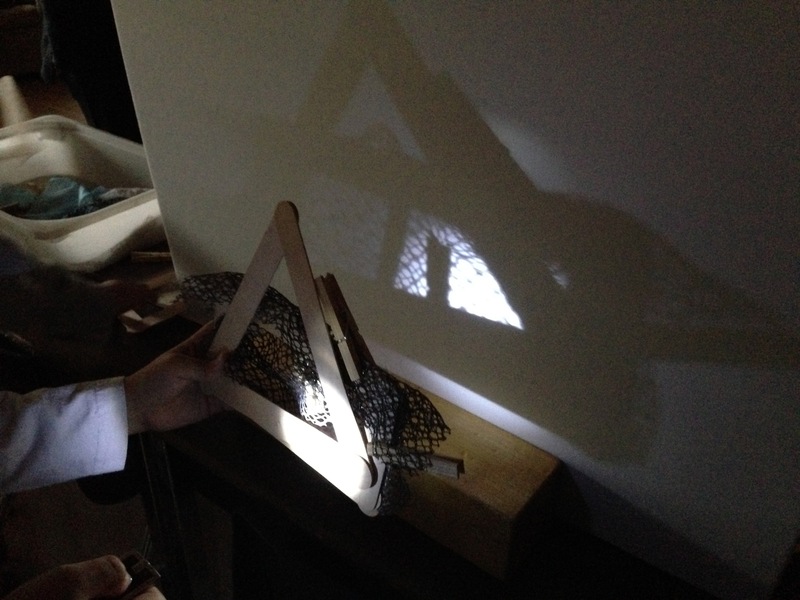 Allow students to experiment freely with making shadow shapes with their hands and the cloth. 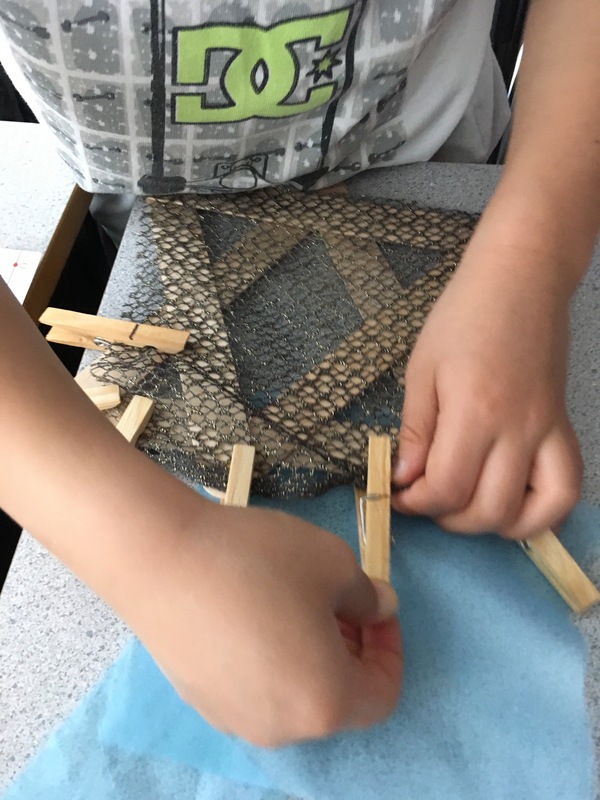 If you are indoors, show students how to pin the cloth tightly around the frame with the clothes pegs then use the free hand to shine the flashlight beam through it onto the board. They will also enjoy making shapes by adding frames together. 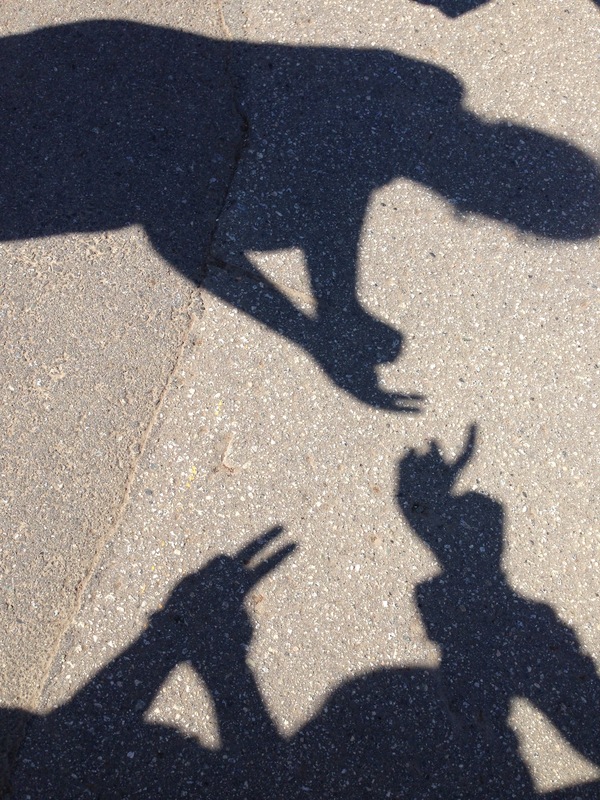 They will need to work with a partner to make hand shadows, with one student holding the flashlight. 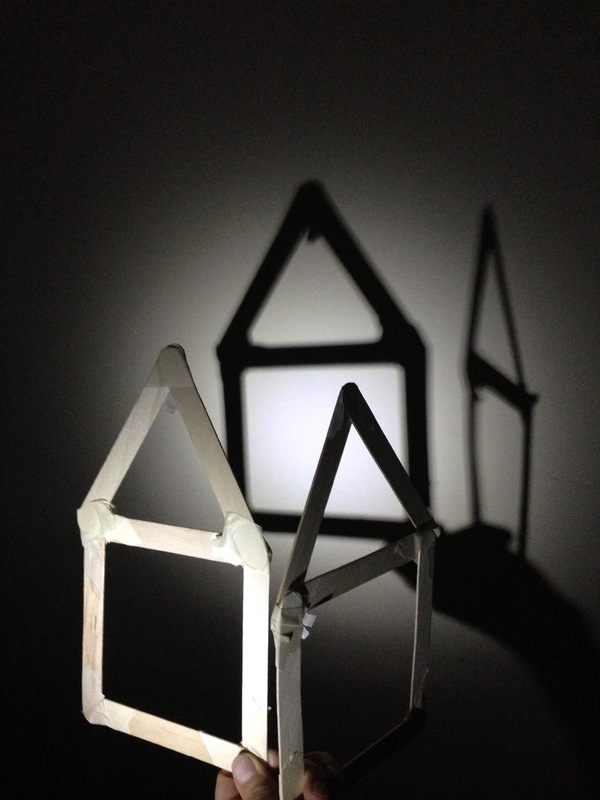 Students may also experiment with the angle they hold the shape at, and how as it turns the shadow changes shape. Ask them to notice, and record on a worksheet if you like, where the light comes from and how the shadows are made. Give them a challenge: make the shadows taller or shorter. If an object blocks light, it will make a shadow in the same shape as the object. Shadows are the lack of light. Light travels in a straight line. Some objects are thin enough to allow some light to pass through them. If the object is near the light source the shadow will be large, if it is far the shadow will be small. This can be explained by following the straight line of the light from the source, past the edge of the object to the projection wall. The angle between the edges of the object is much larger when it is close to the light source, so will end up following the line outwards to make a large shadow. Students may have discovered moire patterns. If not, show them how to make them: lay two pieces of sheer cloth with very small holes over each other. Shine the light through them, and if necessary, move the cloth a little, to see new patterns of swirly dark lines which shift and change as the cloth moves. The last photo is an attempt to show this. Students enjoy joining the frame shapes to make a "house" etc. Need a solid support for the white board. Heavy wooden blocks work well. Maybe a wooden block with a slot in the centre. This activity used along with others in the Light from Chemistry lesson for a Halloween after school science class.